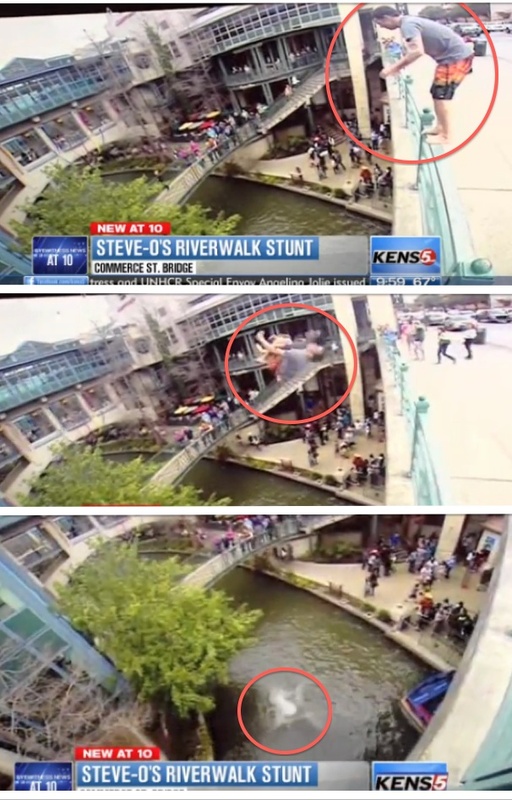 Steve-O caught on video jumping off San Antonio’s River Walk bridge from a crazy high height! Did we mention he landed in only 4 feet of water? What’s a guy gotta do to go viral these days?